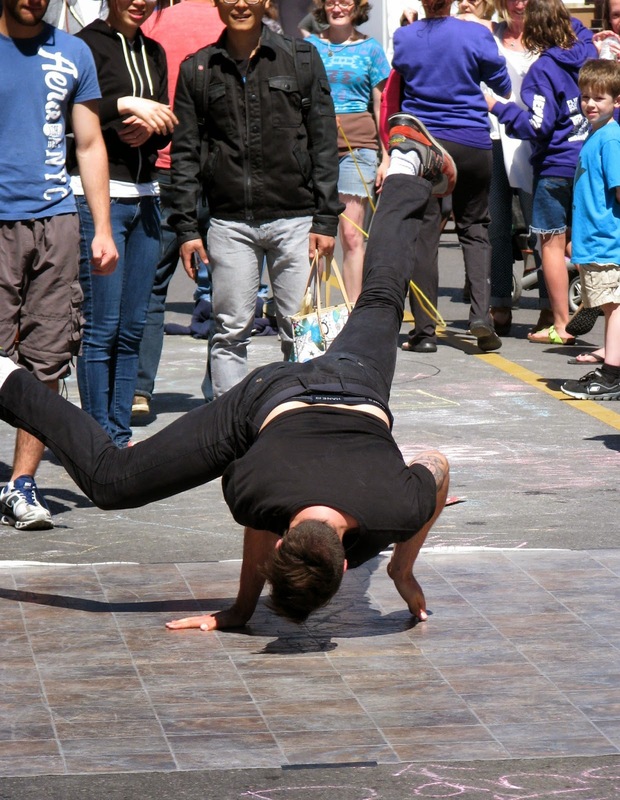 Saturday was the last day of the London Fringe Theatre Festival, it was also The Dundas Street Festival, and Nuit Blanche, which meant that Londoners got to play in the street from 10 am Saturday til 1:00 am on Sunday. Fortunately, the weather was perfect for outdoor strolling. I put on my best "Street Strolling Clothes"(as opposed to "Street Walking Clothes", which are completely different). You can only wear the t-shirt when it's warm enough not to have to wear a jacket or sweater over it so you can see back and front. 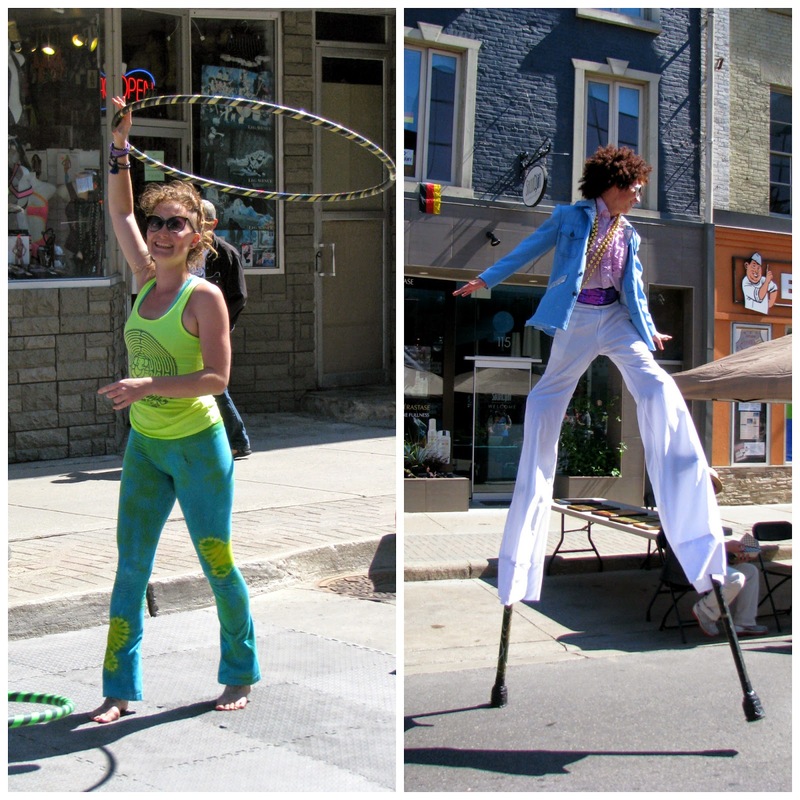 Three blocks of Dundas Street were closed to traffic so that pedestrians and cyclists could take over the street. There were games to be played, food to be enjoyed, and cool stuff to be purchased. Dear Thelma, Love Louise was the name of this adorable little trailer that was full of fun, inexpensive stuff. I got three items, including a necklace and a small pin for a total of $6. That's my kind of shopping! Patti-Ann Sim-Fenech is the woman behind Dear Thelma, Love Louise. 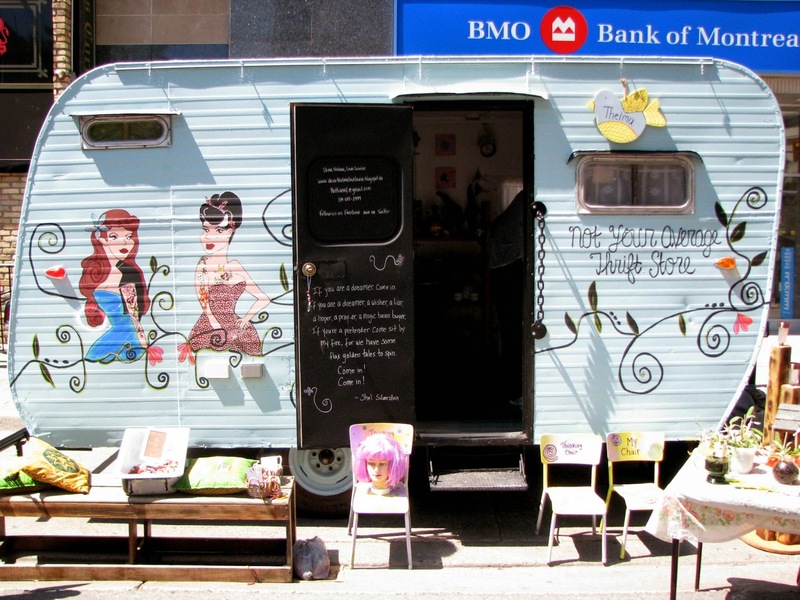 She makes the stuff, and sells it out of her vintage "Glamper" (glamourized camper). 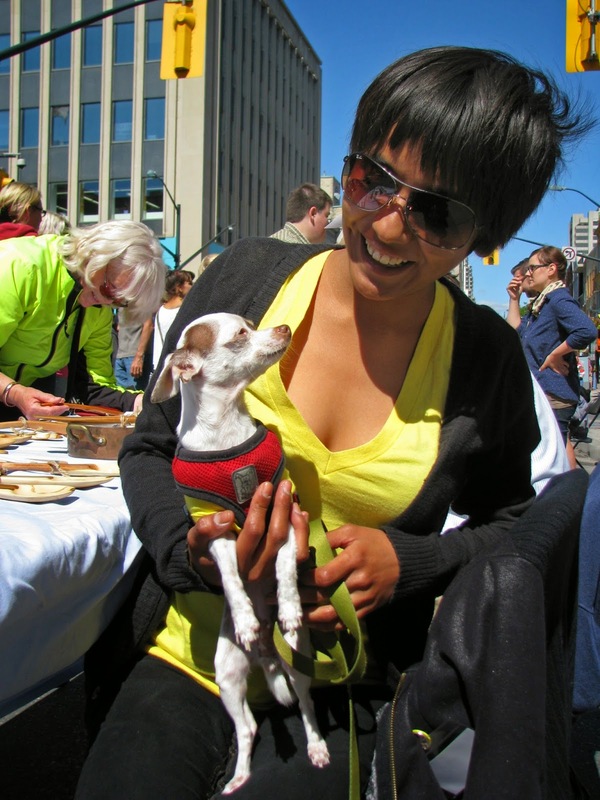 You can read more about her and her unconventional thrift store on wheels on her blog. 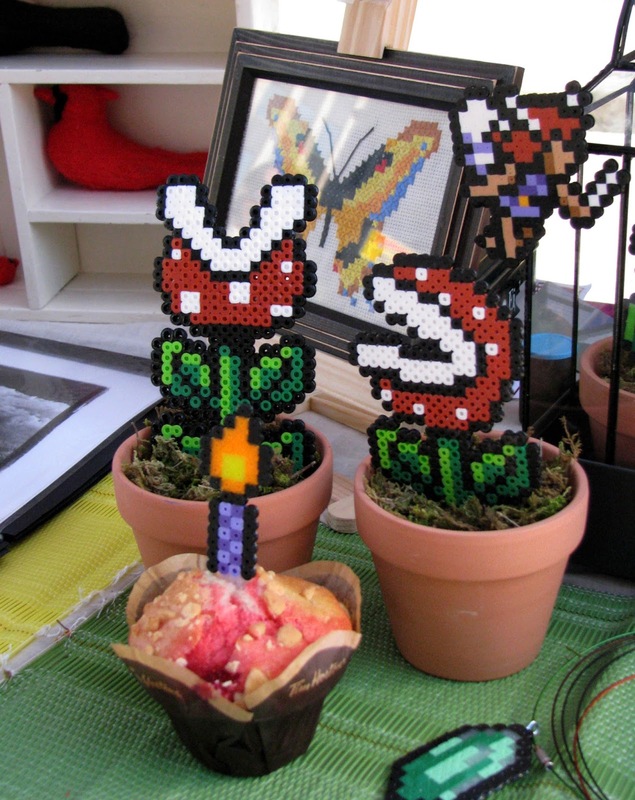 Across the street was a little booth full of the coolest little felt creatures called Uzzles, made by Kim Stark. I wanted all of them, but settled on a little mouse/dog superhero critter complete with eye mask and cape. You can see more of Kim's creatures on her blog. 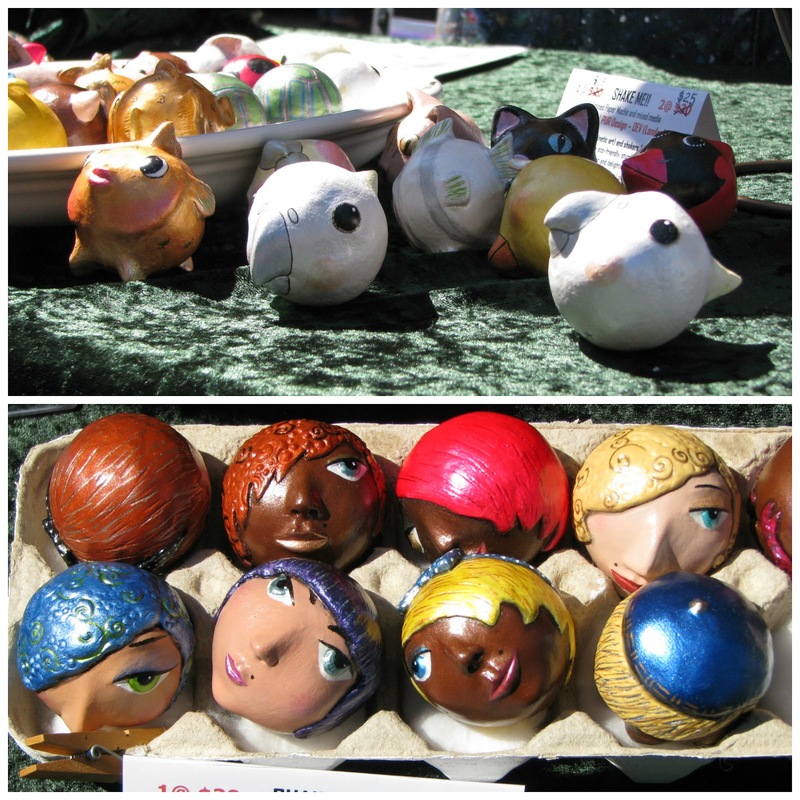 I loved these little paper mache "shakers", made by Phylis U'Ren. The animals are cute, but the women's heads are amazing (especially the fab hair styles). You can see more of her sculptures on her Facebook page. 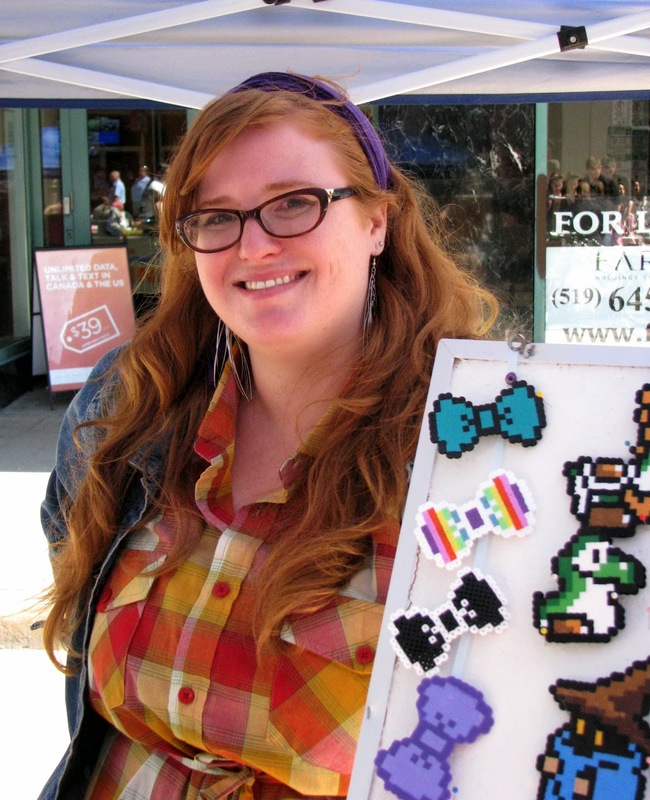 Kayla Gibbens, the sassy redhead in the photo above, made my pixel hair bow (and the one that Melanie won). She finally has a Facebook Page for her business. Kayla's pixelated version of Audrey II from Little Shop of Horrors. The woman in the elephant print dress above is Amy Kovac, who created the black and white animal-focussed art on the table in front of her. 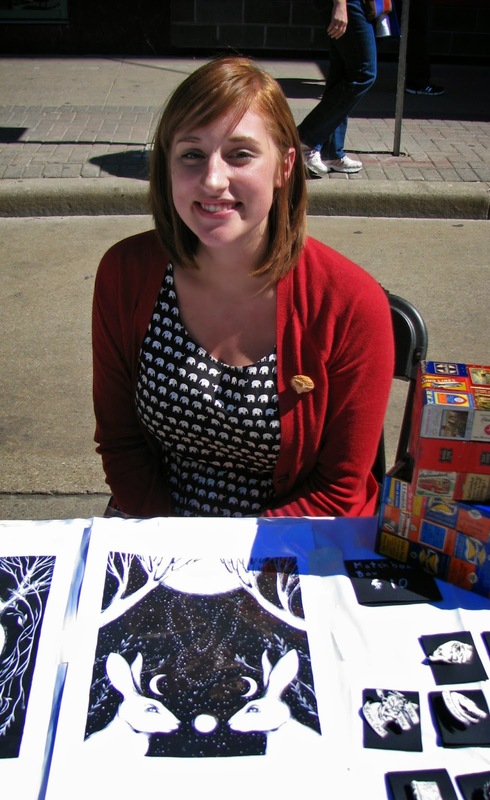 She had made some of her drawings into necklaces and pins, and I purchased a fox necklace as a gift for a friend. You can see more of her cool art here. 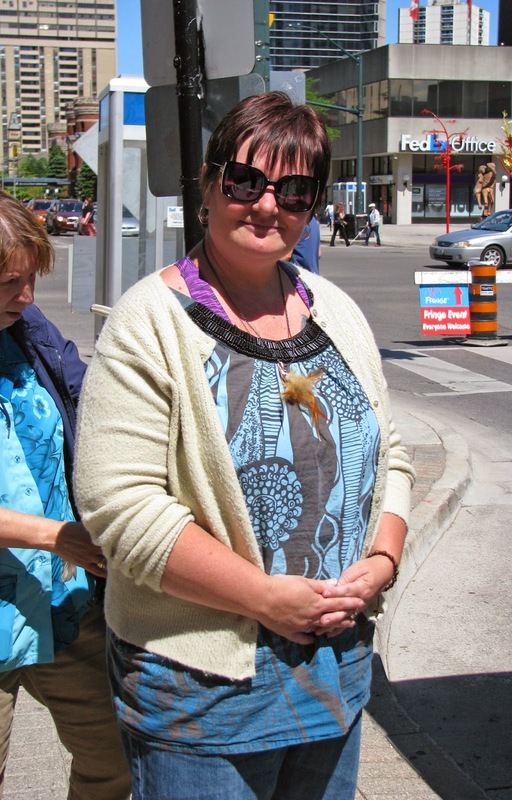 My next post features photos from the night-time antics during Nuit Blanche....stay tuned! You my dear look fit for a festival, adore this t-shirt and still love my garter leggings from them. What temptations so many clever creations, I would have found lots:). You are always so good about supporting local artists. Bring on the nighttime mischief I say! I love that t-shirt. I remember checking out the retailer before - they also have the best masks. What a standout you must have been in the crowd. Great new shoes too. Looks like a fun weekend in London, so many talented artists. I'm glad Kayla has a Facebook page now - I often wear my hair bow. Thanks again! What a great day, and you look fantastic - fabulous pants, and we're shoe twins! love this kind of festivals and a night out sounds delightful! !, you look gorgeous, your t-shirt is amazing and your little report made me smile!, so many cool people!! Oh, that looks like so much fun! I love your tee and your very wide pants. Those shoes are Fly London, right? They are! Usually I can't wear Fly's but this particular style is really comfortable. Wow that outfit is fab!!! I want the whole thing. I can't believe you scored those pants thrifting. And the shirt....oh my. Methinks I might need that tee. I always love it when you go to these festivals because you do such great recaps of the artists. That's a great tee shirt! I love it paired with those coulottes too! I really like the painting of the girl in the fancy dress. I cant' stop staring at it. That's a great outfit for strolling, or street walking, or somersaulting down the street! 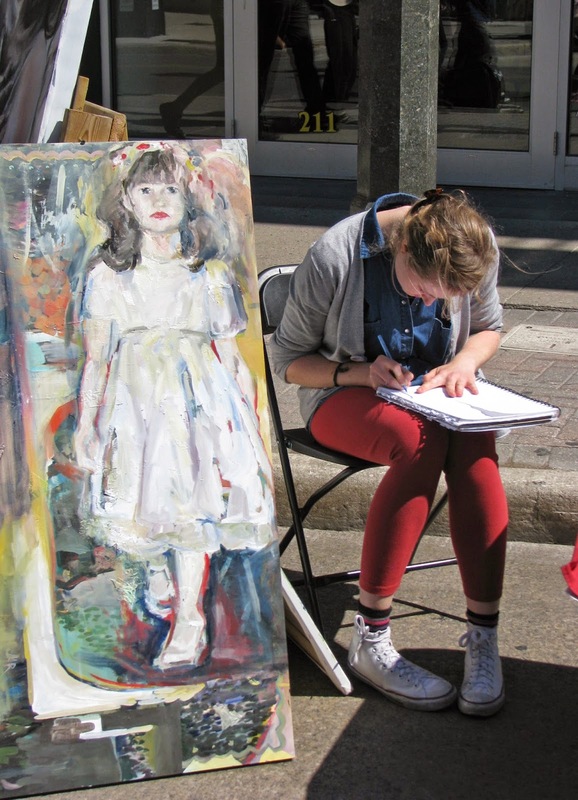 You always have the best festivals and fairs there - I would be broke if I saw so much wonderful art on sale. 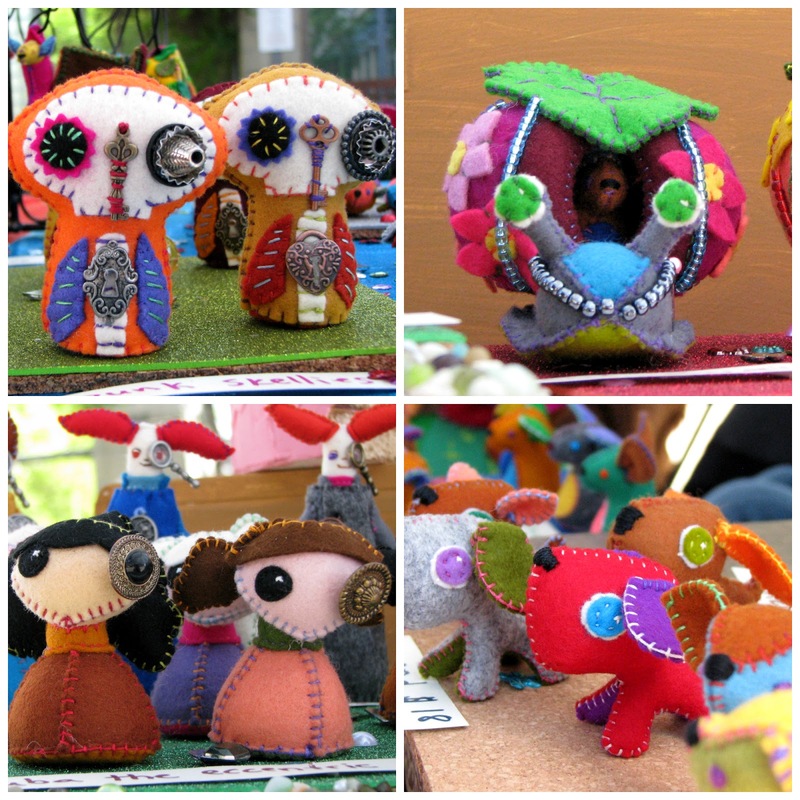 I love those freaky felty things. Love those new shoes by Mars. It's no mystery why they're your favorites -- they're gorgeous. A totally festive event! You were dressed to turn heads, which I'm sure that you did. You were right about the cool stuff! I am especially taken by the mache "shakers." 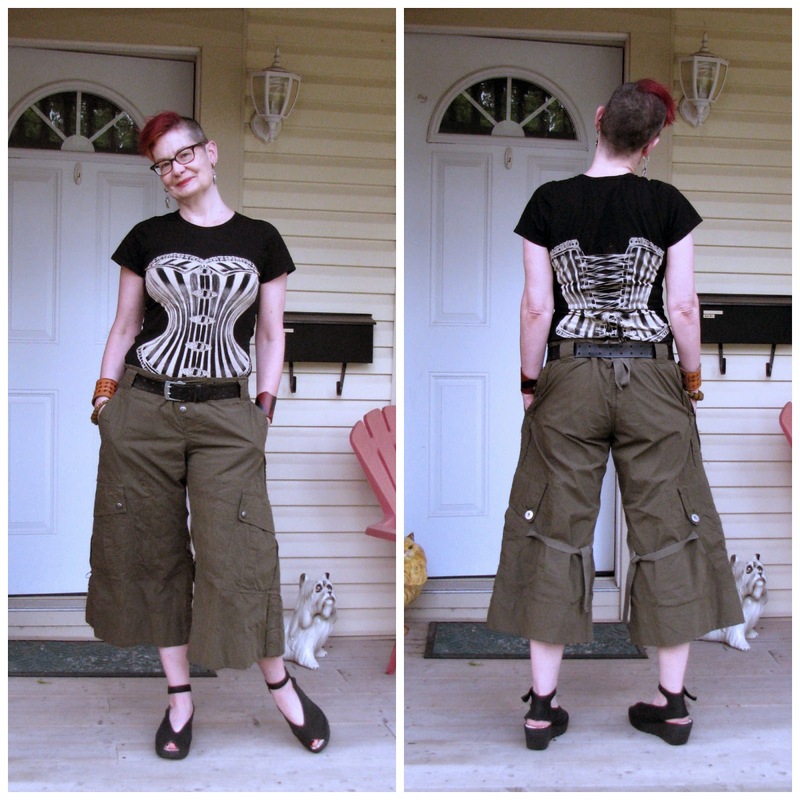 Love your corset t-shirt! 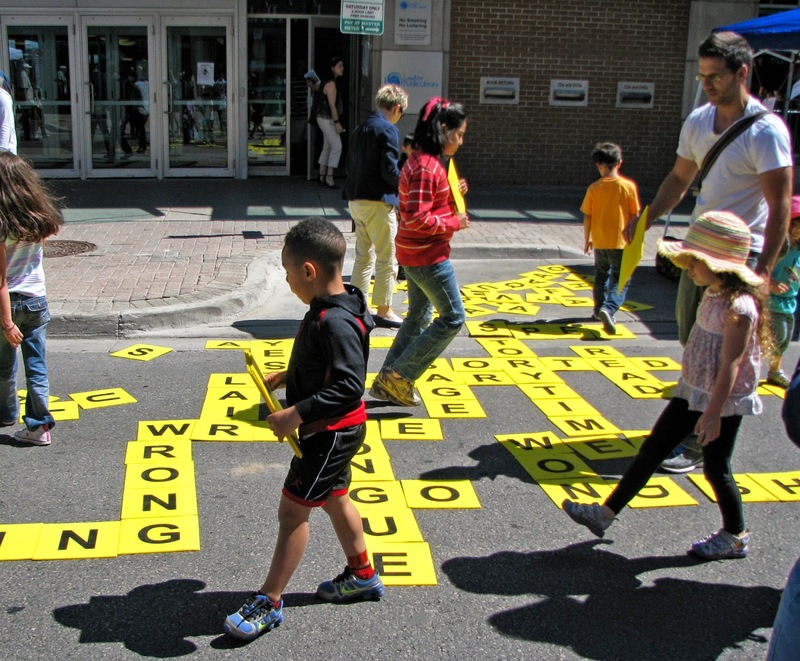 And thank you for all the neat photos, the street-scrabble looks fun.